Movie Review - 'The Brothers Bloom:' They're On The Con, And We're The Marks With his first feature, Brick, Rian Johnson gave audiences a smart, funny hybrid of film noir and high-school status comedy. For his second, Johnson has made something more specific and less necessary: a Wes Anderson movie. Whatcha Gonna Do? 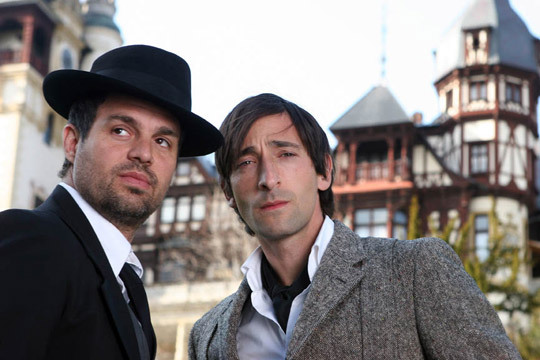 The brothers Bloom (Mark Ruffalo, left, and Adrien Brody) are bad boys indeed — at least until Brody's lovestruck con man sends the plot of Rian Johnson's whimsical film off the rails. An Easy Mark? 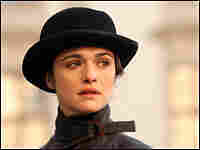 Penelope Stamp (Rachel Weisz) is an eccentric heiress with a surprising appetite for adventure. Mute Horror: Actress Rinko Kikuchi gets relegated to worse than sidekick status as Bang Bang, a mostly silent dragon-lady stereotype with a proclivity for explosives. With his first feature, Brick, Rian Johnson gave audiences something they couldn't have known they wanted: a smart, funny hybrid of film noir and high-school status comedy. For his second, the writer-director has made something even more specific, but far less necessary: a Wes Anderson movie. A globe-hopping tale of two too-cute con men, The Brothers Bloom is a stridently whimsical pileup of fraud, treasure, love and regret. Any hints of actual emotion, however, are squelched by hammy performances and show-offy references. The story begins when Stephen and his younger brother, known only as Bloom, are living with one of the 30 foster families who'll shape their childhood. The siblings con some of their classmates into paying a visit to a "cave of wonders," but Bloom rues cheating the group's prettiest girl. Some 25 years later, the dynamic hasn't changed: Stephen (Mark Ruffalo) continues to relish the thrill of the lie, and Bloom (Adrien Brody, fresh off Anderson's The Darjeeling Limited) still can't help feeling like a cad. After concluding an elaborate con in Berlin, the younger man announces his retirement. He protests that he no longer wants to live inside Stephen's scripts — one of the movie's many references to flimflam as a form of literature. As the scenario winds on and on, weaving in a bogus Belgian art curator (Robbie Coltrane) and a genuine Russian mobster (Maximilian Schell), Bloom and Penelope fall in love. Considering that the brothers are trying to take the sum of $1 million from her, this development undermines both plots — Stephen's, of course, but the movie's too. Bloom could become a lot wealthier by marrying Penelope, after all, than by bilking her. That would be a very favorable transaction, since Penelope is the movie's only engaging major character. 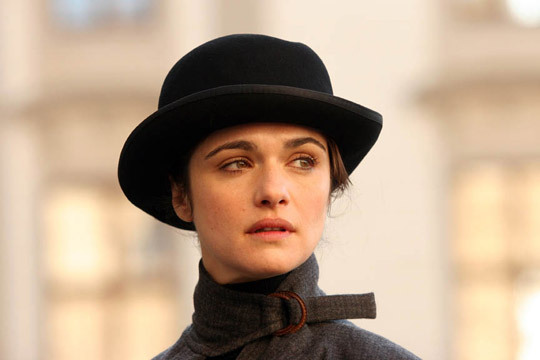 She's totally implausible, but Weisz has a lot of fun playing her, and that amusement is contagious. Ruffalo and Brody are far less appealing as boy-men whose arrested development seems overly familiar from previous roles (or previous Wes Anderson movies). As for the nearly wordless Bang Bang, she's an updated dragon-lady stereotype; the character's principal utility is to show that there actually can be more insulting roles for Asian actresses than the crotch-baring schoolgirl Kikuchi played in Babel. Aside from his literary riffing, Johnson's central concern is the corrosiveness of deceit. The Blooms lie to everyone, including each other, until even potentially poignant moments are undercut by doubt. But the incessant dishonesty just proves wearying. In a flamboyantly phony tale like The Brothers Bloom, it hardly matters which fibs are entirely false and which ones are only half so.